I had some timeline issues getting here. I looked at some of the chronological orders listed online and it had Cloak & Dagger listed here. However, that has a reference to Luke Cage, which hasn’t happened yet. There was also one place that said Agents of S.H.I.E.L.D. season three began here, but the first episode has a reference to Ant-Man. Finally, I got it sorted out and the next major event in line is indeed Ant-Man. Before we get there, though, there’s a small stop. Similar to the One Shot short films, we have the WHIH Newsfront. This web series is a set of episodes available on YouTube, featuring a news channel from within the Marvel Cinematic Universe. There are two seasons and the first was released in the summer of 2015, gearing fans up for Ant-Man. Like those earlier One Shots, these are mostly meant as a way to introduce us to new characters and shed light on them. The main focus of these episodes was Scott Lang. 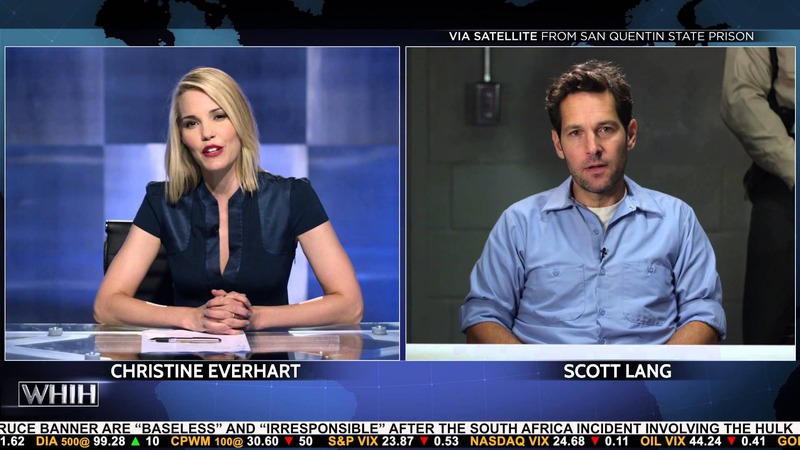 Played brilliantly by Paul Rudd, he’s our eventual protagonist in the upcoming Ant-Man movie. I appreciate how we were able to see the heist that put Lang in jail. There's an episode with little to no dialogue, instead focusing on what Lang does to get locked up. We learn that he stole from a corrupt company, yet also saw how he drove the owner’s car into a pool because that’s the kind of guy he is. The last episode features him getting interviewed from prison just days ahead of his release. Knowing the WHIH channel is owned by the company he stole from, he gets irritated by the questions they ask and we can see his frustrations. It helps us get a sense for who he is. I thought the series would only give us insight on Lang, but I was pleasantly surprised by the third episode. The subject isn’t Scott. 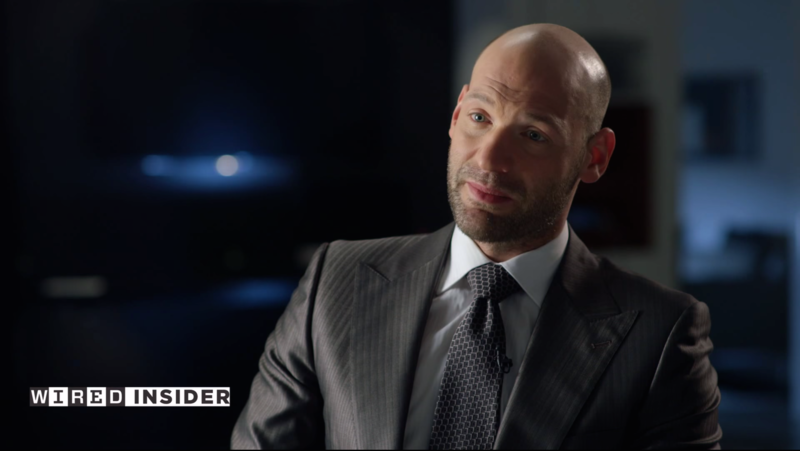 Instead, it is a candid interview with Darren Cross (Carey Stoll), who is the antagonist in Ant-Man. We hear him talk about taking over Pym Industries and how he was mentored by Hank Pym. It was cool to get a feel for Cross. Like, he was dodgy when asked about forcing Hank out of his own company, which is a story thread for the upcoming film. Despite being just a few short episodes, there are plenty of MCU connections. For starters, the news channel is hosted by Christine Everhart. To those who don’t remember, she appeared in both Iron Man and Iron Man 2, as a reporter who hooked up with Tony Stark. She also went on a date with Justin Hammer. Played by Leslie Bibb back then and here, it was nice to see a familiar face. The series also discusses the events of Avengers: Age of Ultron and the fallout from the Hydra infiltration of S.H.I.E.L.D. The WHIH channel is seen throughout the MCU, from the various films to the TV shows. It’s hard to give this some kind of incredible score because there’s simply not a ton that happens. It works for what it is. A nice little look into the MCU and some of the characters we’re about to be introduced to. It was fun and didn’t take up too much of my time, but it’s also not a necessity to watch.